Guess you can expect a HIKE in speeds, eh? eh? Plenty of people are yet to enjoy the super speeds of 4G, but somehow Mount Everest has got in there early, with Huawei and China Mobile working together to take LTE TDD to new heights. Literally. 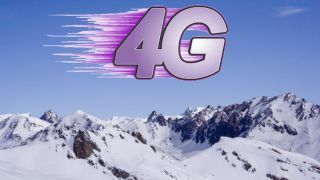 The 4G service covers some 5,200 metres above sea level. Though it's still got a bit of a climb - 3,648 metres to be exact - to make it to the top. Still, if you find yourself at Mount Everest's base camp any time soon, rest assured that you'll still have your Netflix catalogue on hand for a cheeky episode of I Married A Mobster.